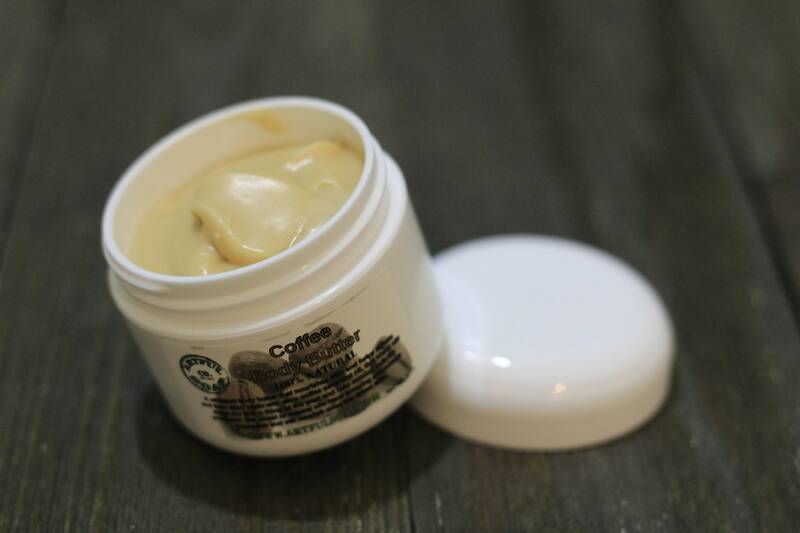 Our Coffee Body Butter is a whipped oil that nourishes skin and your soul. 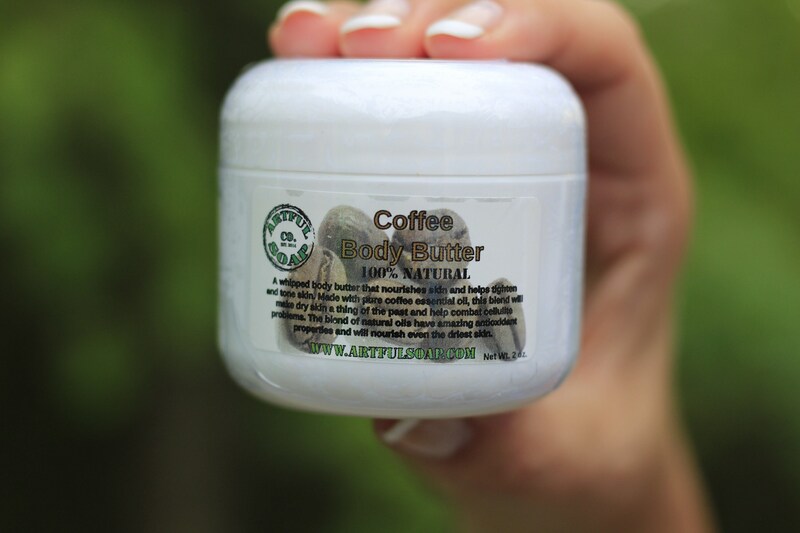 Made with pure coffee essential oil (yup, coffee beans have oil in them), it is extremely high in caffeine and coffee bean goodness to tighten and tone skin. This blend will make dry skin a thing of the past and help you perk up with the scent of fresh coffee. The blend of natural oils have amazing moisturizing properties and the beeswax we add will seal in that moisture. Ingredients: Shea Butter, Coconut Oil, Grapeseed Oil, Safflower Oil, Jojoba Oil, Beeswax, Vitamin E, Corn Starch, Coffee Essential Oil. 2 oz net wt.